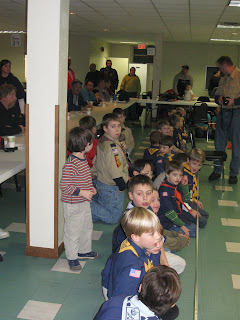 Last week was the Boy Scout Pinewood Derby. 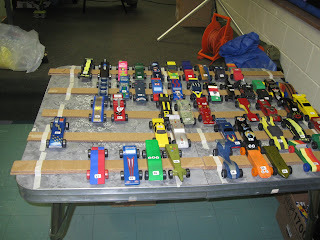 James is getting better at designing his car, and this year his car finished the race. Isaac was allowed to go and watch. 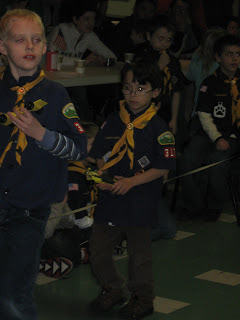 He can hardly wait to be a Boy Scout next year.